Join me for my first exhibit of the New Year, Seaside Art Association @ the Avery Gallery! I currently have 4 pieces on display in this group show with the Seaside Art Association! 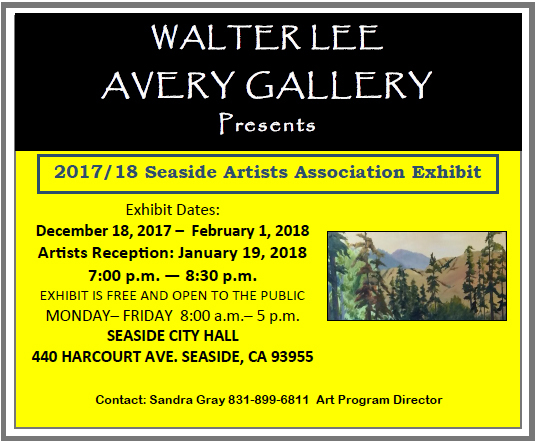 The Walter Lee Avery Gallery is located inside Seaside City Hall. The show runs December 18 - February 1, 2018. 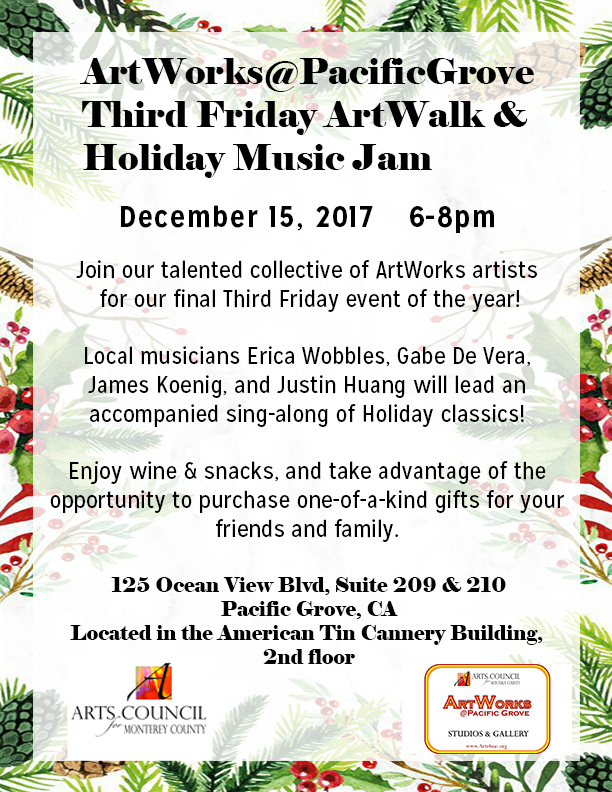 We are having an artist's reception on January 19, 2018 from 7:00-8:30 pm. The exhibit is free and open to the public Monday - Friday 8:00am - 5:00 pm. 2018 is shaping up to be a good year for me & my art and I can't wait to share more with you!